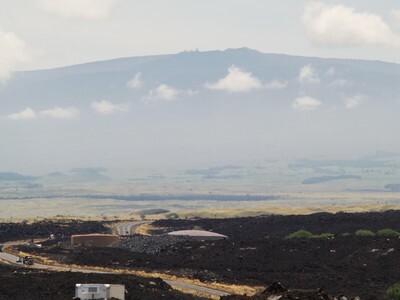 This image shows the west side of the massive, extinct volcano of Mauna Kea from about 25 miles away. Several of the telescope domes on top are visible. Tomorrow, we go to the top. Exposure data was lost by Kodak EasyShare.